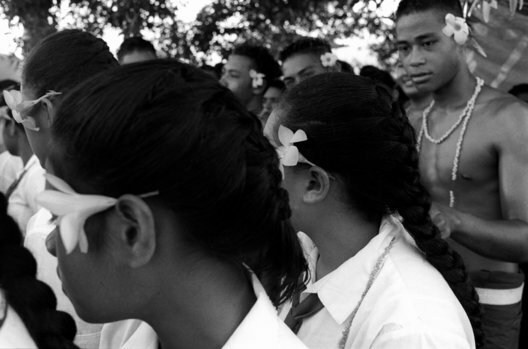 Tamara Voninski / oculi / vu Coming of Age in Samoa 2009 Western Samoa Schoolboys with beautiful yellow and white flowers in their hair Apia, Samoa. 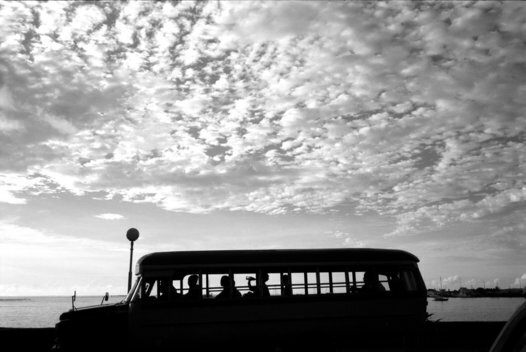 Tamara Voninski / oculi / vu Coming of Age in Samoa 2009 Western Samoa A bus along the foreshore in Apia, Samoa. 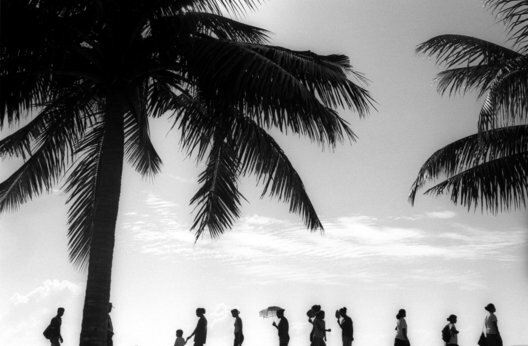 Tamara Voninski / oculi / vu Coming of Age in Samoa 2009 Western Samoa Along the foreshore on a Saturday morning after sunrise in Apia, Samoa. 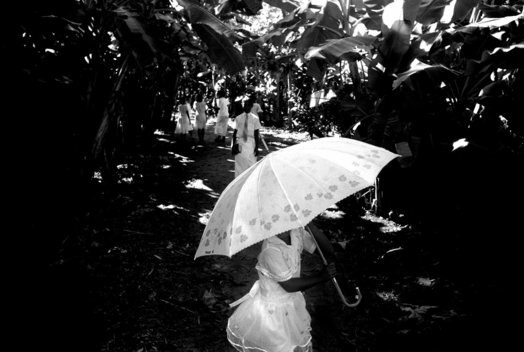 Tamara Voninski / oculi / vu Coming of Age in Samoa 2009 Western Samoa Children walk through a plantation of banana trees after church on a Sunday morning on Manono Island in Samoa. Tamara Voninski / oculi / vu Coming of Age in Samoa 2009 Western Samoa A small passenger boat travels between islands in Samoa. 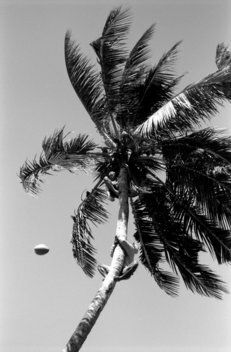 Tamara Voninski / oculi / vu Coming of Age in Samoa 2009 Young men scale trees for coconuts in Apia, Samoa. 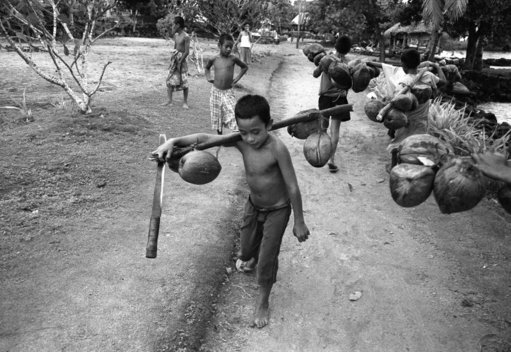 Tamara Voninski / oculi / vu Coming of Age in Samoa 2009 Western Samoa Boys carry coconuts from one end of Manono island to the other. The island has a path around the edge with no roads, cars or dogs. 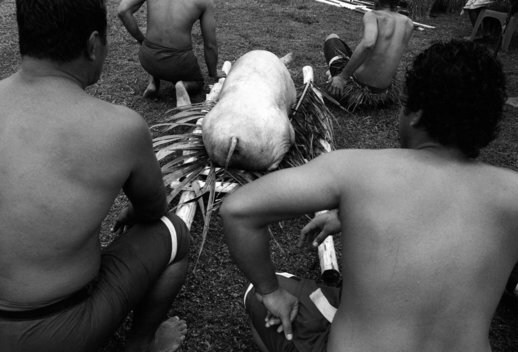 Tamara Voninski / oculi / vu Coming of Age in Samoa 2009 Western Samoa Young men prepare to present a suckling pig as a gift to visiting dignitaries and Heads of State from neighbourng Polynesian countries during a celebration of Samoa's Independance Day in Apia. Tamara Voninski / oculi / vu Comingof Age in Samoa 2009 A rugby match played by boys off Manono Island in the pouring rain with clothing optional. Tamara Voninski / oculi / vu Coming of Age in Samoa 2009 Western Samoa Schoolboys gather to dance for digntitaries during Samoa's Independance Day celebrations in Apia, Samoa. Boys often wear beautiful flowers behnd their ears in Samoa. 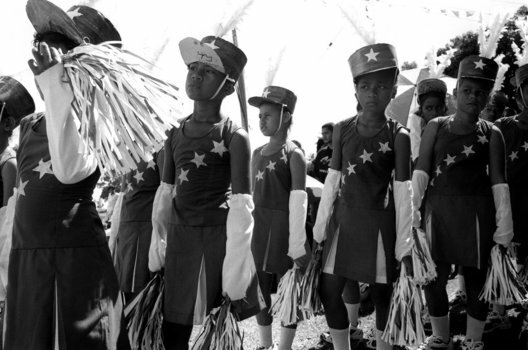 Tamara Voninski / oculi / vu Coming of Age in Samoa 2009 Western Samoa Marching girls and boys wear cheerleader skirts for a performance during Samoa's Independance Day celebrations in Apia. 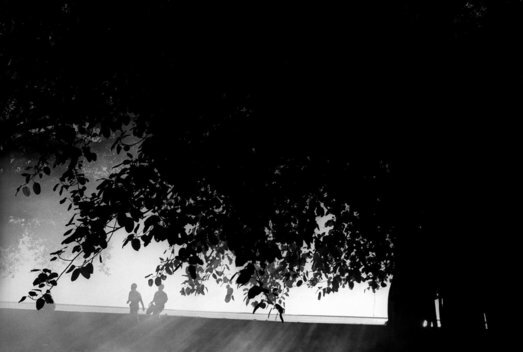 Tamara Voninski / oculi / vu Coming of Age in Samoa 2009 Western Samoa Manono Island at dusk just before the bells ring for evening prayer. Tamara Voninski / oculi / vu Coming of Age i Samoa 2009 Backstage at Samoa's first fashion awards in Apia, Samoa. 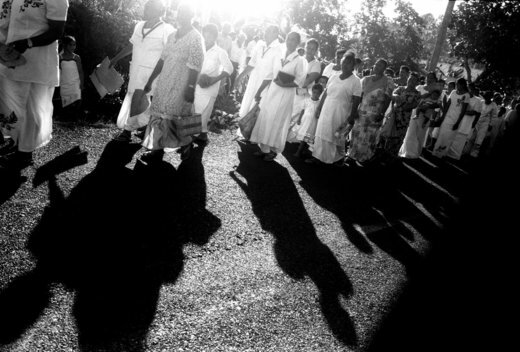 Tamara Voninski / oculi / vu Women and children walk to a village Church on a Sunday on the Island of Upolu in Samoa. 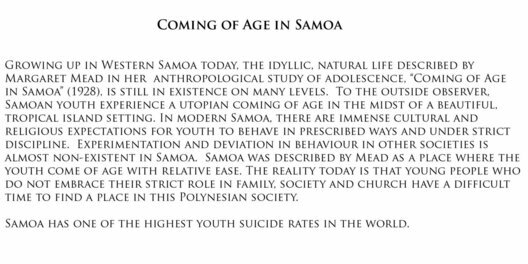 Growing up in Western Samoa today, the idyllic, natural life described by Margaret Mead in her groundbreaking anthropological study of adolescence, Coming of Age in Samoa (1928), is still in existence on many levels. 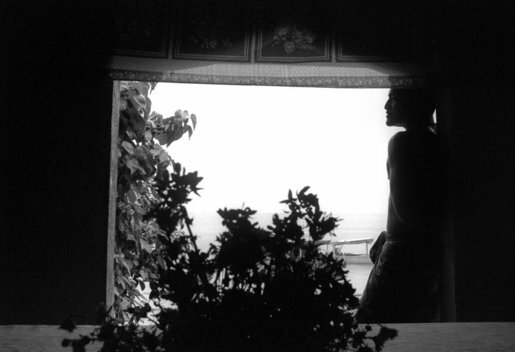 To the outside observer, Samoan youth experience a utopian coming of age in the midst of a beautiful, tropical island setting. In modern Samoa, there are immense cultural and religious expectations for youth to behave in prescribed ways and under strict discipline. Experimentation and deviation in behaviour in other societies is almost non-existent in Samoa. Samoa was described by Mead as a place where the youth come of age with relative ease. The reality today is that young people who do not embrace their strict role in family, society and church have a difficult time to find a place in this Polynesian society. 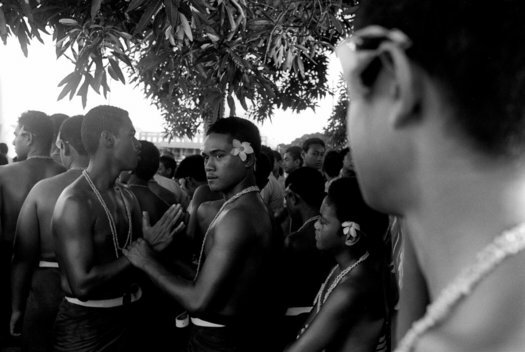 Samoa has one of the highest youth suicide rates in the world. 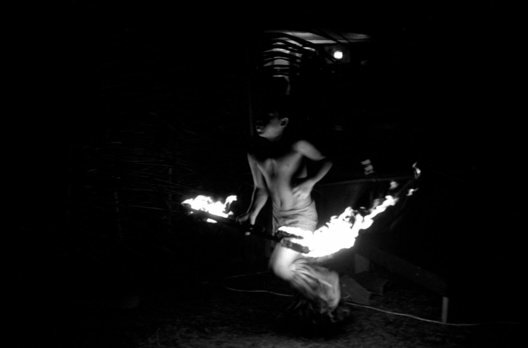 Tamara Voninski / oculi / vu Samoa 2009 A fire dancing competition in Apia, Samoa. 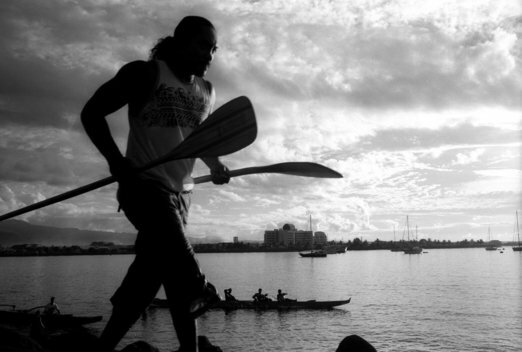 Tamara Voninski / oculi / VU Comng of Age in Samoa 2009 Western Samoa Young men prepare for a fautasi traditional long boat race in Apia Harbour in Western Samoa. 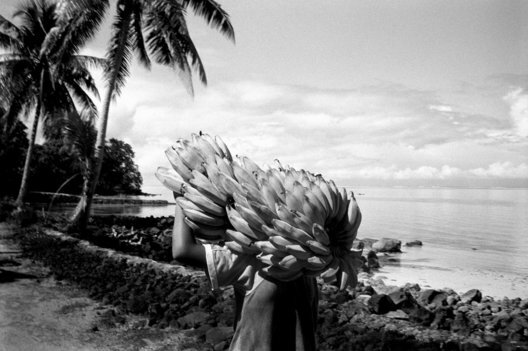 Tamara Voninski / oculi / VU Coming of Age in Samoa 2009 Western Samoa A boy carries bananas from an island plantation in Samoa. Manono Island in Samoa has no roads or cars and everything must be transported by hand or boat. Tamara Voninski / oculi / VU Coming of Age in Samoa 2009 Westen Samoa High school students gather to dance for digntaries in Apia, Samoa during Samoa's Independance Day celebrations. 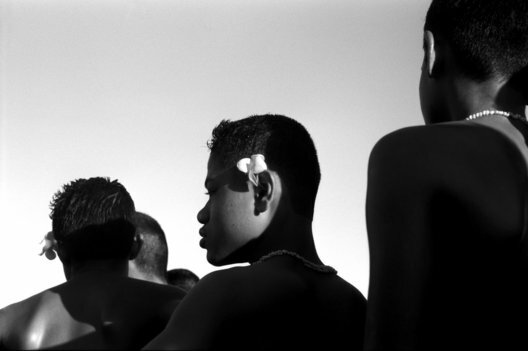 Boys and girs often wear beautiful flowers behind their ears in Samoa. 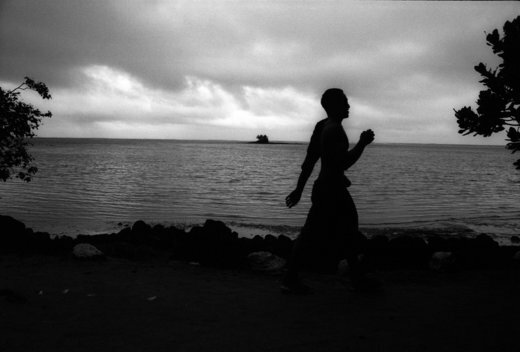 Tamara Voninski / oculi / VU Coming of Age in Samoa 2009 Western Samoa School boys walk along the foreshore in Apia at sunrise in Samoa. 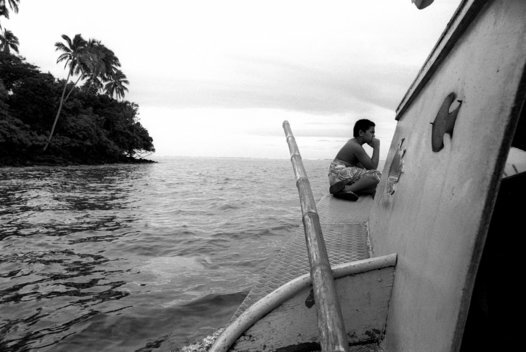 Tamara Voninski / oculi / vu Coming of Age in Samoa 2009 Western Samoa A boy waits for a boat to arrive on Manono Island in Western Samoa.